Bubblemaker is as fun as it sounds – a chance for kids to blow bubbles by scuba diving! Bubblemakers get a chance to experience scuba diving under the direct care and supervision of a PADI Pro; take their first breaths underwater in water no deeper than 2 metres/6 feet; learn about and use scuba diving equipment made for children; and of course have lots of fun! 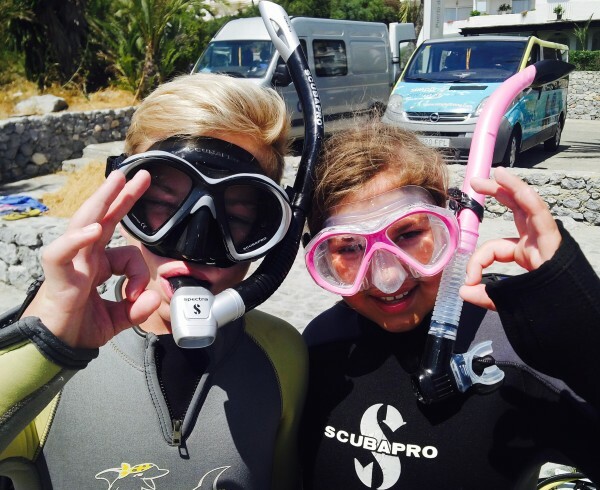 Simply Diving offers the course on a strict one-to-one basis with one of our Instructors, all who are trained in how to teach and dive with children. This ensures supervision every single second your child is underwater. Our Bubblemaker course also includes the Bubblemaker Crewpack which contains mementos of the experience and is full of fun surprises, such as a kid-sized beach towel, logbook, certificate, temporary tattoo, decal and the very popular Bubblemaker water toy. They will just have to make sure Mum or Dad doesn’t try to steal it! In the Bubblemaker course, participants get a basic introduction to how to use their scuba equipment, how to clear a regulator and mask, and an overview of breathing underwater. Please note that a child must be 8 years old or older. Kids must be comfortable in the water, but no prior experience is necessary. Parental approval is, of course, required.